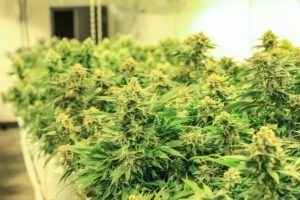 Dozens of cost-sharing grants offered by the province of Ontario and Canada’s federal government are now available for licensed cannabis cultivators. The funding is provided in part through the Canadian Agricultural Partnership – a 3 billion Canadian dollar ($2.2 billion) initiative that supports agricultural businesses of all kinds across the country. Fifty-six separate cost-sharing programs for producers are available in Ontario. “As far as eligibility for cannabis producers and processors, they are eligible for program funding under the same rules as any other project: It must be legal and the project must meet merits and outcomes of project categories,” said Dave McLeod, project analyst with the Ontario Ministry of Agriculture. The funding may be particularly appealing to microcultivators – a new class of cannabis cultivator – when they become fully licensed. British Columbia and Saskatchewan also allow cannabis cultivators in those provinces to apply. The cost-sharing grants range from “equipment modifications to reduce soil compaction” (CA$10,000) to “technology and equipment to improve labor productivity” (CA$100,000). For producers, the deadline for the current intake of applicants is May 6. Funding decisions are expected by July 10. To see the full list of available producer grants, click here. Ontario is home nearly half of the 163-plus federal license holders in Canada. Be a legal farm business that produces agricultural commodities. Have an Ontario Farm Business Registration Number (FBRN) or eligible exemption for the farm business. Have a valid Premises Identification (PID) Number. Some focus areas require participation in an Environmental Farm Plan, Growing Your Farm Profits or Biosecurity workshop. For processors, the deadline for the current intake of applicants is also May 6. To see the full list of processor grants, click here. Up for grabs are 26 cost-sharing initiatives. “Cost-share funding under the partnership is merit-based and project funding amounts are individually established based on project types,” said Bianca Jamieson of the Ontario Ministry of Agriculture. “Program budgets are not allocated to specific sectors but are rather aligned to support the most impactful projects across the priority areas identified above,” she wrote in an email. In addition, federal-only programs are also available.